While color photographs are quite common today a black and white photograph still tells a story which may not be able to be told with a color image. 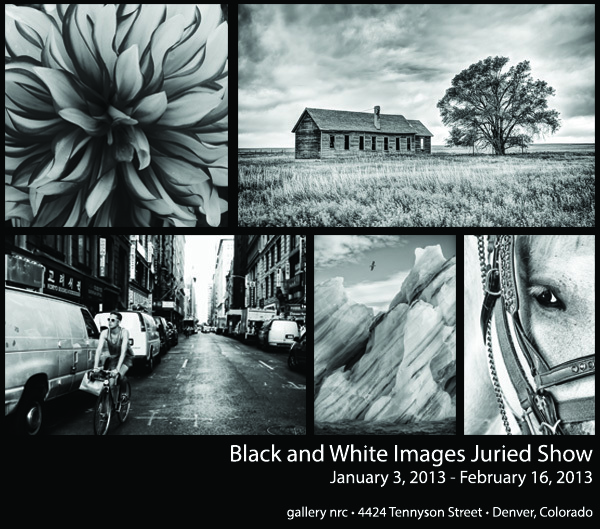 The Black & White Images Juried Show explores this medium with an open theme of images which fit this genre. The gallery juried over 100 entries from across the United States with twenty-five images selected as part of the show. During the First Friday Art Walk on February 1st, gallery nrc will be open from 6:00 P.M. – 10:00 P.M. The show runs from January 3, 2013 – February 16, 2013.